After having gained its independence from the British rule, Mumbai (formerly Bombay) was well on its way to becoming India’s commercial and economic centre. And despite its 20.7 million inhabitants, the city remains open to expatriates who want to participate in a fast and continuously developing economy while living in the heart of India. Government workers make up a large portion of Mumbai's workforce as well as a considerable number of unskilled and semi-skilled self-employed people. These are individuals who are either involved in blue-collar jobs or have established small businesses. 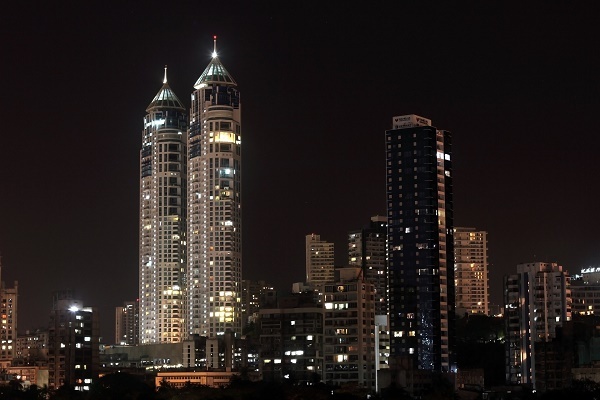 After the city's liberalisation, Mumbai has experienced an economic boom. This was furthered by the significant role that India played in the rise of the outsourcing industry in the past years. Expatriates can find a niche in any of Mumbai's industries or set-up a business of their own. Other notable financial institutions that have offices in Mumbai are Bombay Stock Exchange, Reserve Bank of India, and the National Stock Exchange. The average monthly disposable salary in Mumbai is Rs 51,567 or USD 775. And despite the expensive cost of living, Mumbai still possesses an undeniable charm that motivates expats to work hard. This city offers some of the best salaries in the job market whereas IT specialists and engineers have salaries that normally start at Rs 1,000,000 or USD 15,000. Expatriates sent as representatives by international companies normally have higher salaries and good expatriate benefits (such as housing and transportation allowances being included). Those who are employed by Indian-based companies may receive a lower salary, although a foreigner's salary would most often be higher than that of a local; this is given that an expat has the needed skills and experience. Either way, you'd be glad to know that salaries rise at a rate of 12 to 14% per year. By law, the average work week in Mumbai is comprised of 48 hours without overtime. But this can still vary depending on company and industry. Employees normally work nine hours or from 10 am to 6 pm every day from Mondays to Fridays with rest interval of at least one hour intended for break or lunch. Expats should are also entitled to 18 to 30 days paid leave every year; an important factor that must be included in the employment contract. Expats should always remember that despite the multicultural make-up of Mumbai's workforce, the culture observed in the workplace may still be predominantly Indian. Punctuality in the workplace is appreciated but may not always be observed by your counterparts in Mumbai; best be open to flexibility. The workplace hierarchy, whether based on seniority or position, is very much observed in Mumbai. Decision-making is largely dependent, and most often than not, only done by the most senior (or whoever holds the top post) in the hierarchy. Respect for elders is part of the tradition, so formalities when it comes to greeting would be expected of you. It is best to address a person by his title and last name, rather than be casual and use the person's first name right away. The work culture in Mumbai is also not as open to criticisms as Western cultures may be. So be wary of how you deliver your opinions and when you give them. The work culture in Mumbai is also not as open to criticisms as Western cultures may be. So be wary of how you deliver your opinions and when you give them.